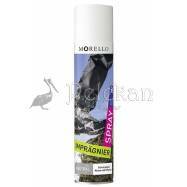 MORELLO WATERPROTECTION SPRAY. Protects smooth leather, suede and Gore-Tex fabrique, against humidity, pollution and sun exposure. Advanced, waterproof action. 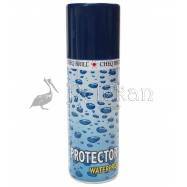 Protects smooth leather, suede and Gore-Tex fabrique, against humidity, pollution and sun exposure. Advanced, waterproof action, MORELLO WATERPROTECTION SPRAY penetrates the pores of the leather or fabrique while allowing them to breathe at the same time. Acts like a shield against moisture, humidity, and sunlight. 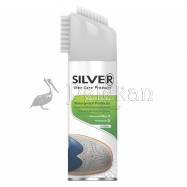 Regular use makes cleaning care easier as it helps to maintain smooth leather, suede or Gore-Tex fabrique in a good condition for longer periods. 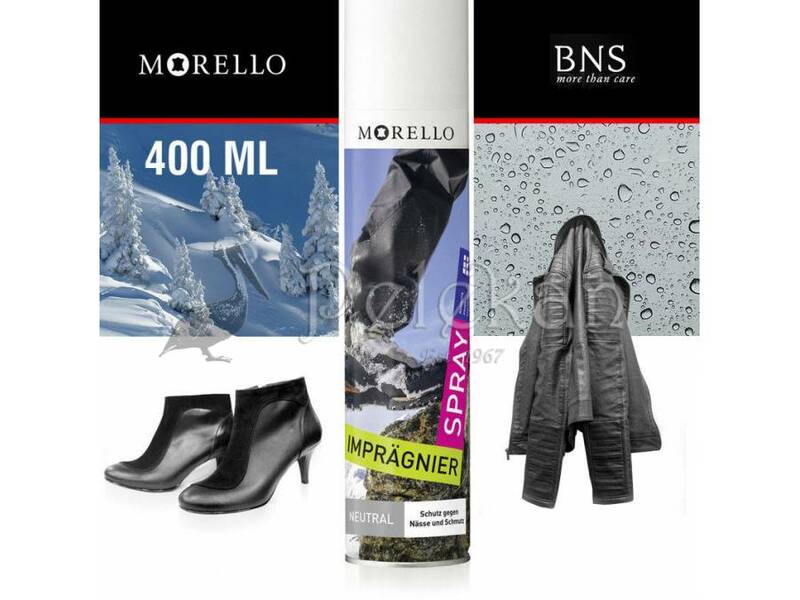 MORELLO WATERPROTECTION SPRAY ensures greater stain resistance and overall durability for your favourite bags, shoes or clothes.